Performance in Braga. Second day! After saturday´s presentation in Braga, Rodrigo was invited to make concert in the sharing moment of the Rover 2014/2015 by Junta de Núcleo de V. N. de Famalicão do Corpo Nacional de Escutas. Unfortunately, that concert was very late, so Markus was sleeping and we skipped all party… but we are sharing some pictures from event and if you want to see more of them, please, visit CNE page in Facebook! In the afternoon we had Lessons from the Didgeridoo in Casa de Juventude and in the night presentation in Braga. But even without our physical presence, Rodrigo did nice presentation. After main talk of Miguel Gonçalves from Spark Agency, the scouts were divided in smaller groups, in each of them they had a session with the mentors from projects like: Transformers, Associação Salta Fronteiras, Pista Mágica and others. After Rodrigo was invited for a concert on the night after to make concert and speak more about instrument! As we announced, Saturday afternoon we had Lessons from the Didgeridoo workshop in the Casa da Juventude! And it was super great!!! We had 5 participants: Maria – excited yoga teacher, Sonia – best dancer ever, Sílvia – didgeridoo playing enthusiast, João – owner of smooth didgeridoo sound and Ana – one of our great marketing students that came to take pictures and was also involved in the workshop!! We started with some warm up exercises, to know and to get familiar with each other, to build the group for the rest 3 hours of work, or maybe for some more because sometimes what happens is that the participants that meet each other in seminar, continue the friendship later. After exercises comes two basic experiences! After this we get: the basic drone, the modulation of harmonics and how to improve our sound in the future. Also some concepts about playing in a group and for the group. Giant construction! That’s my small part of workshop and while Markus was sleeping on Rodrigo’s arms, I stayed with participants to create giant. During this topic we see how to create what we need from what we have, how to be part of team, how to listen and be listened to. And after sone minutes we are available to manipulate huge parts of body and even create some synchronic movements! The participants are divided in two groups. Musicians: João – “because you are playing good”- said Sylvia and Maria because she exited to buy even real instrument and try to play! This is the moment when everything comes into place and that we apply everything we was working on. Some anxiety takes over our performers. Preparing stage, camera, lights…Action! After second shot we have our performance done! Thank you guys!! You all were spectacular!! No need for words! Check this family’s vlog. Because life is to be shared and because we must be there for each other. 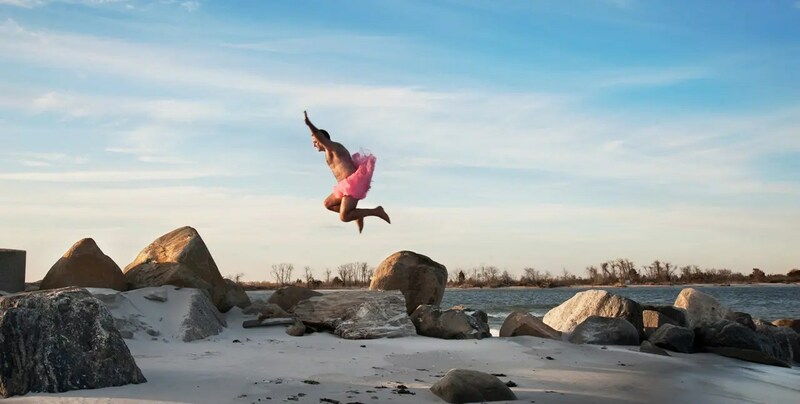 The mission of The Tutu Project™ is to support the fund raising efforts of The Carey Foundation for men and women with breast cancer. We strive to bring laughter and understanding to a community that has endured far too much.